Pre-match you sensed it would be a big test of Hull FC to get up for this Super League match both physically and mentally after crashing out of the Cup just five days prior, but what followed was a totally professional display that saw us pick up our biggest win of the season to date. 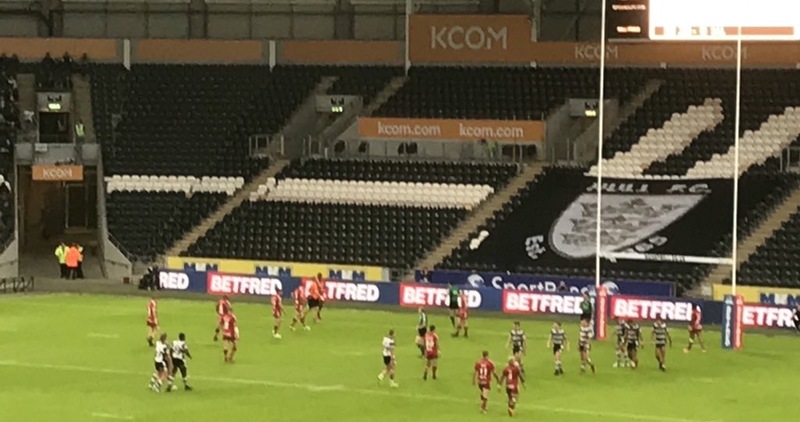 Fair play lads – Hull were absolutely ruthless against a rudderless Salford side, beating them 45-14 to extend the unbeaten home run to seven games, with the Black and Whites 37-0 up by half time. Add the fact that this win was done with several key players out injured and it’s even more impressive. 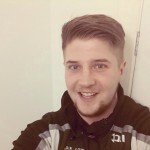 Additionally, Hull lost Joe Westerman to a knee injury during the game, and also limited the minutes of Scott Taylor and Mark Minichiello, effectively playing the contest with just one interchange option. That meant a lot of younger players got some minutes into their systems and the way they can adapt and slot into the side is commendable to themselves, their team mates and Lee Radford. Radders deserves a mountain of credit for this. We talk about Hull FC’s strength in-depth and it was most evident here. Young players given their debuts across the past few years flourished, with their development noticeable. The coaching hierarchy here are really bringing them on. It’s great to see. Jack Logan was absolutely outstanding throughout and took his try superbly, but arguably more noticeable was his defensive effort to handle an intimidating opponent in Junior S’au. Logan ran with enthusiasm all night. He’s got an impeccable attitude and shut a few people up after last week. Similarly, the performance of Jack Downs was also impressive. Downs hasn’t played in the first team since Widnes away a couple of months ago, but he looked accustomed in the side after being given a starting berth, scoring his first senior try for the club and running strongly all game. Off the bench, Jez Litten was outstanding with the ball, and showed once again there’s an exiting future at this level, with Masimbaashe Matongo and Brad Fash playing decent stints too. It all bodes well. And outside of the Hull-born contingent, there was another exciting display from Hakim Miloudi, running down the wing, who is becoming a real fans favourite. He just wants the ball all the time and his energy levels are class. On the other edge Bureta Faraimo was also in the thick of the action, scoring his first hat-trick for the club and also receiving a yellow card for a late shoulder charge. He’s certainly entertaining and he’s got that bit of mongrel about him – sometimes to his detriment. Amongst all that though the star of the show was Jake Connor, everything of which he did was just sheer class. If Wayne Bennett has any sense in him, and we know that’s as likely as the Rovers board not smoking their fans out after a defeat, then Connor simply has to go to Denver to play for England in a fortnights time. He is a freak. He catches high bombs above his head like it’s nothing, smashes over conversions from either touchline like it’s nothing, provides a range of passing that literally had the crowd in awe, and a running game that troubled his oppositions defence all night. In pre-season this Fanzine suggested Jake can go on and become anything he wants to be. There’s fewer gifted players in our comp and he is still young too. What he could potentially achieve in the game is frightening and let’s hope it’s with Hull FC. Connor had a massive influence in the first half – which did see Salford’s defence resemble a bunch of arthritic cardboard cut outs. Though taking nothing away from the home side, Hull played some outstanding rugby league at times and were as fluent as they’ve been all season. Champagne stuff. They moved the ball, thanks largely to the composure and guile of Liam Harris, who looks a classy young player that isn’t fazed by anything. Cheers Rovers. That allowed Hull to break their opposition at ease and scored plenty of long-range tries. The game was over after twenty minutes with Hull already 24-0 up via a brace for Faraimo, the second of which a full length interception, and scores each for Downs and Logan. That followed with Miloudi and Shaul tries, the latter effort genuinely as good as anything we’ve seen this season. Connor had the cheek to slot over a drop-goal too, compounding Salford’s woes and compounding his personal points tally, now standing at 201 for the club. The second half was stale, understandable given the decision to smartly rest key players ahead of another must win and undoubtedly tough game against the Rectums of Wigan next week. Only one further Hull try followed, with Faraimo completing his hat-trick. Salford showed a bit of character, scoring through Greg Johnson, Derrell Olpherts and George Griffin, but there were nothing more than consolations and a result of Hull taking their foot of the gas. 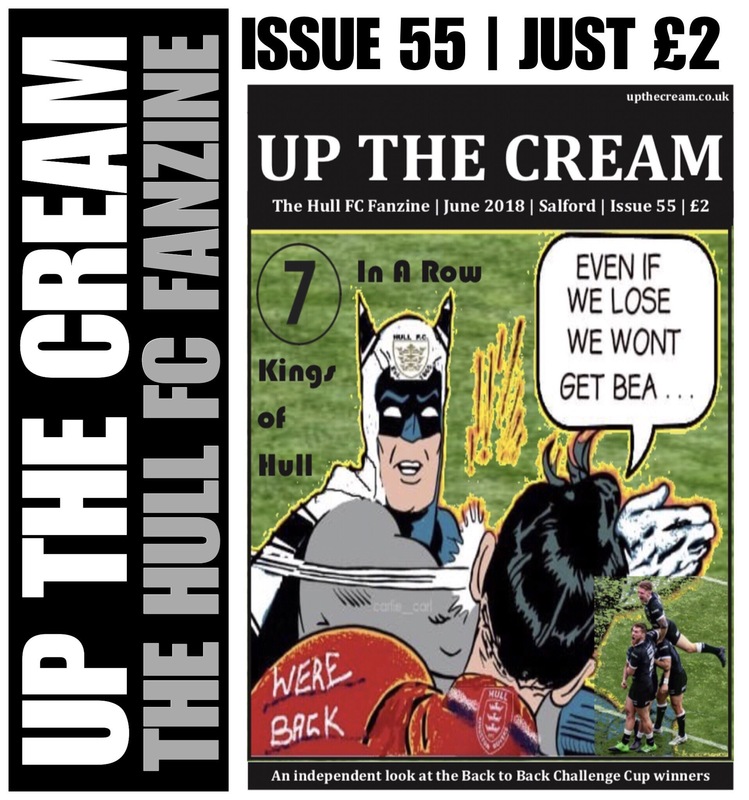 It was perhaps fitting then that the final action went in the favour of Connor, who rounded off the night with a late penalty goal, keeping Hull in check with the top four with six regular season games to go. Hull Starting XIII: 1. Jamie Shaul, 2. Bureta Faraimo, 24. Jack Logan, 3. Carlos Tuimavave, 28. Hakim Miloudi, 14. Jake Connor, 35. Liam Harris, 8. Scott Taylor, 17. Danny Washbrook, 15. Chris Green, 12. Mark Minichiello, 27. Jack Downs, 33. Joe Westerman. Interchange: 20. Brad Fash, 29. Masimbaashe Matongo, 23. Mickey Paea, 22. Jez Litten. Salford Starting XIII: 7. Jack Littlejohn, 2. Greg Johnson, 3. Kris Welham, 4. Junior S’au, 22. Derrell Olpherts, 6. Robert Lui, 28. Jake Shorrocks, 14. Lama Tasi, 9. Logan Tomkins, 23. Lee Mossop. 10. George Griffin, 11. Josh Jones, 13. Mark Flanagan. Interchange: 8. Craig Kopczak, 17. Tyrone McCarthy, 18. Ben Nakubuwai, 19. Josh Wood.